Twitter is huge, no doubt. Its users are growing so fast that you can’t even imagine. A lot of newbies struggle to get new followers but always end up following more. When they search for tools to increase followers, they get tons of results of sites which promote paid twitter tools. most of them are untrusted but some good ones that can be very useful like Instant Twitter Followers. Getting big on twitter is tough but not impossible. You can do it without spending money but you need good strategy.I hope the following tips can help you just try it. People usually follow whom they find useful, interesting or helpful. If you find someone following a person in your niche that means the follower is interested in that particular niche. If you follow this persons followers, they might follow you back. Now this is not a 100% guarantee but it works most of the time. 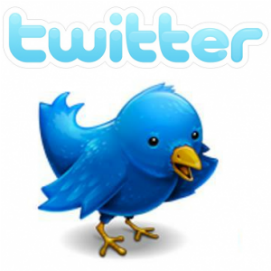 Find several top tweples in your niche who has huge number of followers and follow them. A good way to get noticed is to participate in twitter and staying active all the time. Re-tweet other’s useful posts or tweets. This can draw huge attention. Remember, people are always seeking to learn and discover new things. If you re-tweet a popular or useful post which will benefit others, they are most likely to re-tweet your re-tweet. I hope you know what I mean. When they re-tweet your tweet, you will get noticed by their followers and they might do the same as well as start following you. People follow you if they find you interesting. But, in order to follow you, they need to discover you first. There are millions of twitter users and you can’t expect them to look for you. The best way to gain some exposure to your twitter profile is to add your twitter profile link to every web sites you author and own. If you are active in a forum, you can add your twitter link in your signature. If you write articles and publish in online article directories then you can add the link in your resource box or even profile. You can also add the link to your email signature; in this way whenever you email someone, they get to check out your twitter. If you follow my strategies properly, you will be safe. Don’t try to use any crappy free twitter adder and get suspended. Remember, going fast might get you tons of followers but increase the risk of getting banned. Do not follow more than 1000 users a day. I suggest you go with 500-800 first and then see how it works out. Twitter has a policy. You cant follow more than 1000 users a day and there is a ratio of following to followers which means if you have 10 followers while following 100, you need to wait or unfollow the people who are not following you to add more friends. You will definitely end up following more than having followers at first but be patient. Repeat these steps for couple of months, gain good followers and let me know how it worked out for you. You can start from here.